Impactor blasts bits of asteroid into a sample collection cone. Today, in an extended Twitter thread and ensuing press conference, JAXA’s Hayabusa2 team announced that everything had gone well in gathering an asteroid sample for eventual return to Earth. While we don’t yet know about the material it obtained, the Japanese spacecraft has successfully executed all the commands associated with the sample recovery. Hayabusa2 has been in space since 2014, and it slowly made its way to an orbit 20km above the surface of the asteroid Ryugu. In late 2018, the spacecraft made a close approach to the asteroidand released two small, solar-powered robots that have been hopping on the surface since. This week has seen the first of what are intended to be several sample-gathering attempts. The procedure for this is pretty straightforward: Hayabusa2 snuggles up to the asteroid and shoots it. 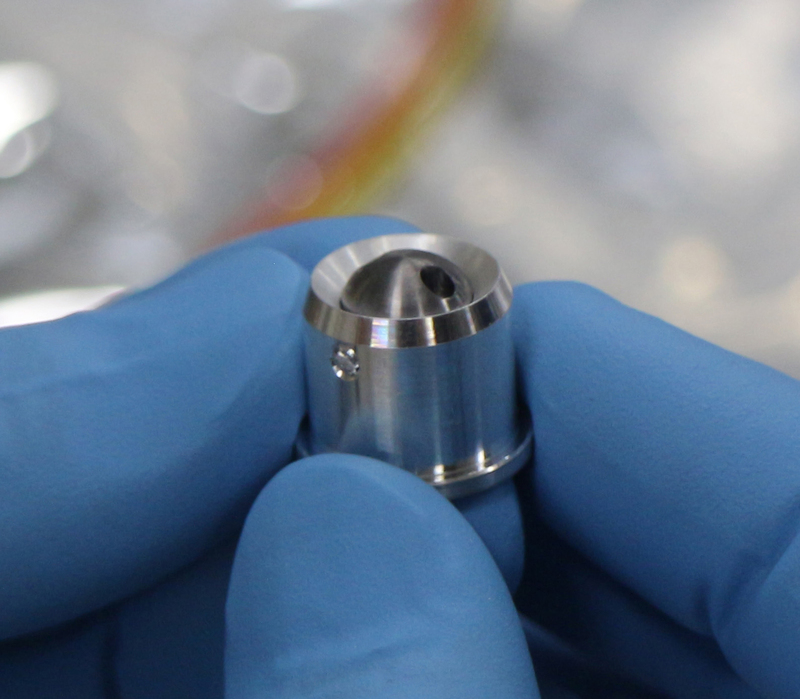 The probe has a sample-gathering “horn” that it can place up against the asteroid’s surface. Once it’s in place, Hayabusa2 can fire a bullet into the asteroid’s surface, blasting material loose that will be gathered by the horn and stored for return to Earth. JAXA, the Japanese space agency, calls its gun a “projector” but admits that the thing it fires is a bullet. JAXA has a webpage that describes some on-Earth testing of the whole system. This obviously requires Hayabusa2 to leave its orbit at 20km and approach the asteroid. Approach is done rather cautiously, with an initial speed of 145 meters/hour, slowing to 36m/hr during the final steps, which means covering 20km took a significant chunk of time. The team monitoring Hayabusa2, however, has confirmed that all the commands planned during the approach were executed appropriately, which indicates that Hayabusa2 now carries the first of several asteroid samples. The initial samples will be the surface material, which has been exposed to radiation and high energy particles possibly since the formation of the Solar System. But Hayabusa2 also carries a heavier bullet that’s intended to blast off the surface material to expose material that’s remained protected for billions of years. Ryugu is thought to be rich in water and organic matter, and it could provide a time capsule for the study of these starting materials prior to their incorporation into planets and moons. A seeming error in a heavily redacted transcript from a Guantanamo Bay Naval Base court has revealed that CIA Director Gina Haspel was the chief of base there in the early 2000s, during the heart of the CIA’s torture program. The revelation fills in a part of Haspel’s career the director was reluctant to speak about during her 2018 confirmation. The document in question is a massive, partially redacted transcript of a secret hearing held at Guantanamo on November 16, 2018, via the Office of Military Commissions, a site concerning war courts. On page 22,088, lawyer Rita Radostitz invokes Haspel’s name, arguing that she is needed to testify in a case regarding Radostitz’s client, Khalid Sheik Mohammed, because the classification rules have changed so much under Haspel’s purview that her testimony as chief of base at the CIA’s Guantanamo black site, where Mohammed was tortured in the early 2000s, is necessary. 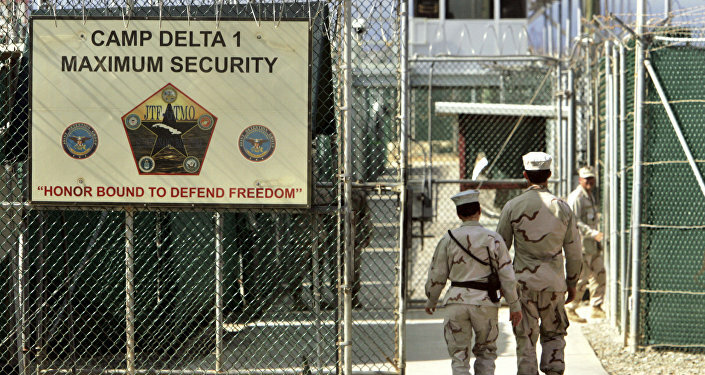 The title “chief of base” is one used by the CIA to refer to officers in charge of secret foreign outposts, including the spy agency’s network of secret overseas prisons, called “black sites.” The US Senate Intelligence Committee’s 2014 torture report notes two such sites in Guantanamo, code named “Maroon” and “Indigo.” These were separate from the Pentagon’s “Camp Delta,” the better known prison inside the naval base. Haspel’s record of supervising and approving of torture is well known. Her role as chief of base of a CIA black site in Thailand in 2002 played a major role in the debate about her confirmation as CIA director in May, Sputnik reported. During her time at the Thailand site, Haspel oversaw the torture of detainees, which helped Haspel perfect the formula for future “enhanced interrogation techniques” such as waterboarding. Haspel herself oversaw the destruction of recordings of that torture, Sputnik reported. Mohammed, who was captured in Pakistan in 2003 by Pakistani intelligence and delivered to the CIA, was subjected to torture at various CIA sites in Pakistan, Poland and Guantanamo, including 183 episodes of waterboarding, according to US Department of Defense documents. He confessed during those so-called “enhanced interrogations” to being the principal architect of the September 11, 2001, attacks, among numerous other acts. Because of these forced confessions, Mohammed’s lawyers, including Radostitz, have sought to have his case thrown out or removed from consideration for the death penalty, as the transcript above demonstrates. Former CIA officer and torture whistleblower John Kiriakou noted that the court document doesn’t contradict anything Haspel has claimed so far, mostly because she’s kept mum about most of her time with the agency. 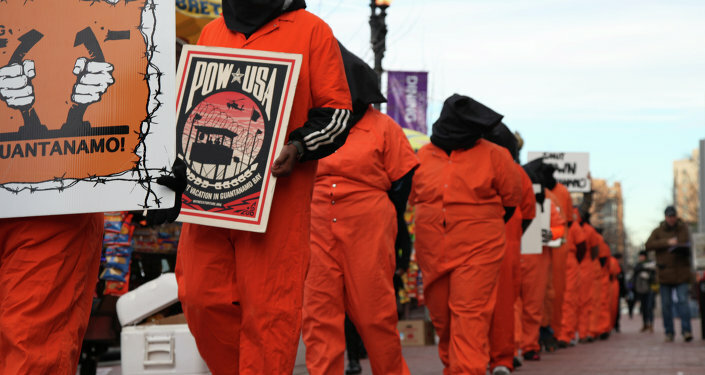 Kiriakou told Sputnik it appears that Haspel was trying to cover up her long history with the torture program by changing the agency’s rules regarding classification, making it basically impossible, as Radostitz laments in the document, for lawyers defending detained clients to do their jobs effectively. Kiriakou said he believed the revelation that Haspel at been chief of base at Guantanamo was a mistake. He described the surprise shown by the CIA publications review board when he submitted an op-ed for RSN containing the information. On the eve of Haspel’s nomination vote, Khalid Sheikh Mohammed asked a military judge at Guantanamo for permission to share six paragraphs of information about Haspel with the Senate Intelligence Committee, the New York Times reported. That information was never passed on. 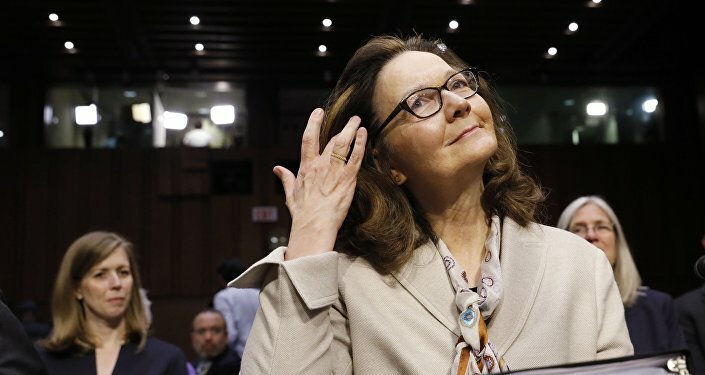 However, while they never got that information, later that month the Senate nonetheless voted to confirm her, and Haspel was sworn in as CIA Director on May 21. This, Kiriakou said, points to a real weakness in the congressional oversight process. “President [Donald] Trump said, when he was president-elect, that he would bring back waterboarding and a hell of a lot worse. Those were his words. That is an impeachable act. Waterboarding, and any other form of torture, is illegal in the United States, and it always has been. The Bush administration stood on its head to pretend that it was not illegal, but it is, and Congress reaffirmed that with the McCain-Feinstein amendment in 2015,” Kiriakou said. However, torture was never in the manual, leading to what Kiriakou called “novel” arguments to excuse practices like waterboarding. Those coming down the mountain or down the stairs have the right of way. Those exiting a building or space have right of way over those who are entering. A quick, double-flash of the high beams by the driver behind you is not a signal of aggression. It indicates that they would like to pass you. Let them pass you. You do not know why they are in a rush, and so do not rush to judgment. One long high beam flash in conjunction with a lot of open road in your lane ahead of you indicates to the trucker in the next lane that they may enter the lane ahead of you. Don’t wait until you are braking to use your turn signal. When you put the shopping cart back, if you notice that disorder has descended upon the cart return chutes, do your best to sort it out, if it isn’t too confuddled. Just pick it up and put it in the trashcan. All as equals, in parallel, coexisting as the fractal embodiment of overlapping concrescence and time. All free to pursue Will and Awareness in a reality which is entirely orthogonal to the reality of all Others. We are hybrids. Get over it. Every human population outside of sub-Saharan Africa is assumed to have a blend of Neanderthal and perhaps Denisovan ancestry. It is why we are the way we are. Think hard about it. The first place to look is the fossil record. The remains of Cro Magnon, now known as Early Modern European, seem to tell a story about a sudden arrival in the Levant, followed by an immediate trek Westward and Northward into and above the Iberian Peninsula, and with this movement, his tool set gradually changed from Neanderthal to something new. Apparently, the new hybrids felt more comfortable living among their Neanderthal ancestors than their Homo Sapiens Sapiens ones. Oh, but Nature is cruel in so many ways. The new, hybrid species, even when offspring were not sterile (which was probably more often the case than not, early on), would encounter new difficulties in procreation, since the inborn sexual cues and rituals of two different species of humans were all jumbled up. Even two offspring of the same mixed breeding pair could be jumbled up in different ways from one another. This is a well-known malady for hybrid animal species, and one of the reasons that scientists resisted accepting the hybridization hypothesis for so long. So, this moment in our history is actually easy to spot, looking back. It’s in the Upper Paleolithic/Lower Neolithic, and it often goes by the moniker of The Human Revolution, since it designates a sudden explosion in human cultural production, likely linked to some change in cognitive function and some important development in language, even according to conservative hypotheses. And what was it, really? It was the fact that everything that we could take for granted, due to shared biology, was yanked away from us. We had to invent shared topologies of abstraction and make explicit what was hitherto locked away inside of us. You don’t always need to speak. Sometimes you need to not speak at all, and instead, listen very closely to the world around you, and beyond it, to the noisy machinery of your own mind, as well. You are not your mind and do not have to identify with its contents or defend its contents, either, for that matter. There is nothing to protect. There is nothing to defend. All of it just happens, and it is not you. You are what remains when the mind and the emotions are quieted. The FBI defines its counterintelligence responsibilities as follows: “As the country’s lead counterintelligence agency, the FBI is responsible for detecting and lawfully countering actions of foreign intelligence services and organizations that employ human and technical means to gather information about the U.S. that adversely affects our national interests’” (emphasis added). The FBI sees its counterintelligence missionas “identifying and neutralizing ongoing national security threats” (emphasis added). And indeed, this seems to be the FBI’s theory, according to the Times: The FBI opened a counterintelligence investigation of the president because, after Trump fired Comey, the FBI feared that Trump was a threat to the national security interests of the United States. Like I said, the guy is so desperate for attention, he’ll take any position, no matter how patently absurd. Like this millionaire musician, living the high life in a Capitalistic society, is really pining away for Socialism to have a new resurgence, and Maduro’s Venezuela is his horse. Total douchebag. He cannot have arrived at that conclusion honestly, unless he was honestly looking for the most absurd, and thus potentially news-worthy thing he could say to have one more picture taken. Why do people watch PewDiePie?? The name is everywhere, so I checked out the channel. There’s no there there. There’s nothing there to get behind or promote. I don’t get it. I don’t understand why people care whether a Swede is overtaken by an Indian channel on YouTube in sheer views or likes. Because it is so incomprehensible to me, I have to assume it is all based on the lateral tug of identity in viewers who have never thought about the topic with any depth or rigor. It would be fun to skim through a hypothetical stack of self-reports written by fans trying to articulate their attraction to the channel, though. People are funny – especially when they don’t know why they are doing what they are doing. The mind abhors a vacuum, and they would surely produce words and rationales which, to them, might seem plausible, but my smug skepticism is pretty thick.